Using an integrative and relational approach to psychotherapy, Susan aids patients coping with psychological distress and personal challenges. Susan graduated from the University of Washington with a Masters degree in Social Work. She has extensive knowledge and experience in crisis care. She held positions as an emergency room and psychiatric social worker in community settings before moving into the private sector. 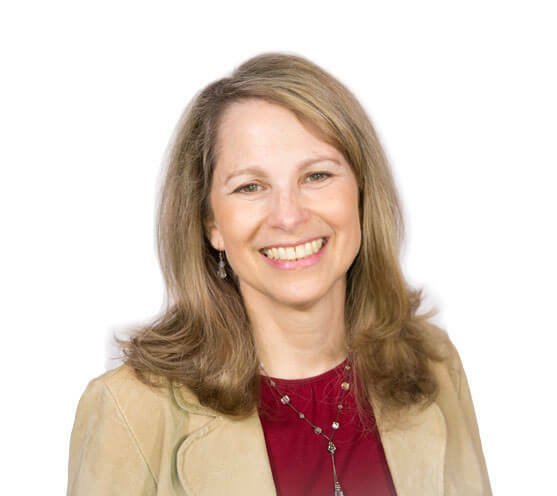 Susan has been practicing as a clinical psychotherapist for more than 25 years treating adults in individual, family, couple, and group psychotherapy. She is passionate about helping her clients achieve optimal growth and their personal best. Other professional stand out moments include designing and implementing the psychological component for a medical weight loss clinic, and being invited as a guest lecturer at the School of Social Work of East China University of Science and Technology in Shanghai. In the state of Washington, she is a Licensed Independent Clinical Social Worker. She utilizes PACT, A Psychological Approach to Couple Therapy, and is a Certified Imago Relationship Therapist. Susan brings an interactive and dynamic approach to psychotherapy, facilitating psychological change and promoting balanced mental health. Psychotherapy is an interpersonal, relational intervention to assist people with the multiple challenges of living and to increase an individual’s sense of well-being. This includes deeply examining one’s life, understanding how prior events and experiences have influenced one’s perceptions, learning new skills and coping mechanisms, exploring choices, defining one’s strengths, setting realistic goals and plans to reach those goals, and learning to operate from a position of empowerment and vitality. Psychotherapists employ a range of techniques based on insight, awareness, communication, and behavioral change. Techniques used are designed to enhance the mental health of a person, to enrich that person’s relationships, and to maximize satisfaction in one’s personal and professional endeavors. PACT – A Psychological Approach to Couple Therapy, developed by Stan Tatkin, Psy.D., MFT, ranks among the latest advancements in couple’s psychotherapy, integrating cutting-edge research in neuroscience, attachment theory, and the study of emotional arousal systems. In a session, couples are guided to become aware of what each person unconsciously brings to the relationship and to understand the resulting underlying dynamic that has led to dissatisfaction, conflict, distance, and threat. Then, partners work to experience and learn what they can do to produce a different outcome and lasting positive feelings toward one another. Couples “re-wire” their brains to promote safety and security for their couple bond, hallmarks of a protected, highly functional, and healthy relationship. Imago Relationship Therapy, a form of couples therapy founded by Harville Hendrix, Ph.D., is designed to help couples in a committed partnership improve the quality of their relationship. The potential impact of this work spans a wide continuum, from deepening the intimacy of a positive and secure relationship to repairing a damaged and broken union. After crossing the bridge, it’s the 2nd building on the left. Proceed to the Madrona Building located on the right hand side. © 2019 Susan Leeds. A 4th Avenue Media Production.